Join myself and Connor Stefanison in the beautiful setting of southwestern British Columbia for 4 full days of bird photography! Vancouver is often touted as one of the world's most beautiful cities. Located between the Salish Sea, the North Shore Mountains and the Fraser River Delta, the city is surrounded by nature - it's no wonder why it's also one of the best major cities in the world for wildlife photography. The area is particularly productive for wintering birds, the bulk of which can be found south of the city's core where the mighty Fraser (British Columbia's longest river) meets the Pacific Ocean. The tidal mudflats and fertile, marshy land found here - much of which has been set aside as an international Important Bird Area - supports Canada's highest bird diversity throughout the winter months. This area is of particular importance to waterfowl, shorebirds and raptors. 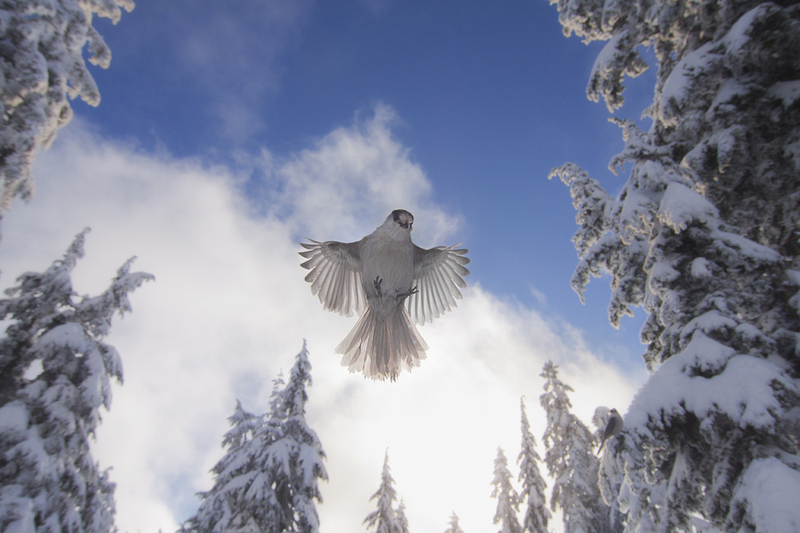 During this workshop we'll have the opportunity to see and photograph many of the most charismatic birds that spend the winter enjoying Vancouver's relatively-mild climate. Several species of owl are possible. Barred, Barn, Short-eared, Long-eared, Great Horned, Northern Pygmy, Northern Saw-whet, Great Grey and Northern Hawk Owls have all been photographed during this workshop. During irruption years, this is also one of, if not the best place to photograph Snowy Owls. Bald Eagles amass at the Fraser River Delta in the thousands in late winter. It isn't uncommon to see a few dozen in a single tree - truly a spectacle not to be missed! Other raptors we often encounter include Red-tailed Hawks, Peregrine Falcons and Northern Harriers. Waterfowl and shorebirds that rely on the region's largely ice-free lakes and coastline also provide plenty of photographic opportunities. Given they're commonly hunted all across the continent, ducks can understandably be quite skittish and difficult to photograph. We'll bring our groups to sites where the birds have become used to human presence and show little to no fear. This allows for tremendous closeup opportunities of tough species. We will be visiting the best site we know of in North America for photographing Green-winged Teal. Time will be dedicated to Wood Ducks - another gorgeous and much sought after species. 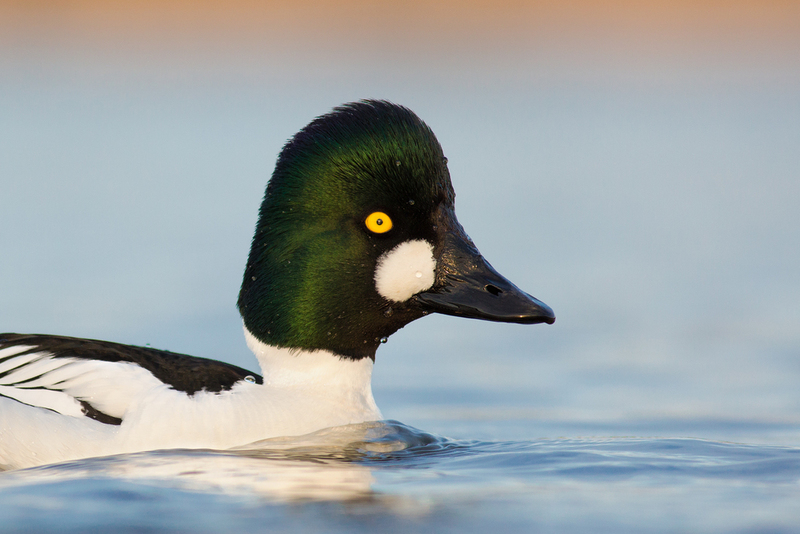 Close encounters and flight shooting with Buffleheads, Northern Pintails, Ring-necked Ducks, Northern Shovelers, American Wigeon, Lesser Scaup, Common Goldeneye and Hooded Mergansers will round out an amazing portfolio of ducks. Crossing the Salish Sea on a scenic ferry ride, we'll spend a day on Vancouver Island, photographing songbirds, jays, woodpeckers and the beautiful California Quail from a friend's wonderful backyard blinds. Adding more diversity yet, we'll visit sites for West Coast specialities such as Black Oystercatchers, Anna's Hummingbird and Red-breasted Sapsucker. Both Connor and I grew up and currently reside in Vancouver. We both have in-depth knowledge of the area's birds, weather and wildlife. All of the images you see showcasing this trip were taken at the locations we will visit and at the same time of year. Limited group sizes and two guides/instructors translates into more one-on-one teaching opportunities for each participant. We are passionate about a variety of different genres of nature photography and are equally passionate about helping others achieve excellence in the styles that interest them most. Though we may at times have our cameras in hand to demonstrate angles, composition and exposure, we will not be shooting. Our time is dedicated to helping you achieve the best results, not making our own images. What's included . . . Recommended photography equipment . . . If you're interested in registering for this workshop or would simply like to receive more information about it, please provide your details in the form on the right. If you have any questions, please include them in the message portion of the form. To reserve your space, a non-refundable deposit is required. Once your registration form has been received, you will be emailed details regarding how to send your deposit. A waiver will also be sent which you will be required to read and sign. It can be mailed, or alternatively, a copy can be brought to the workshop.